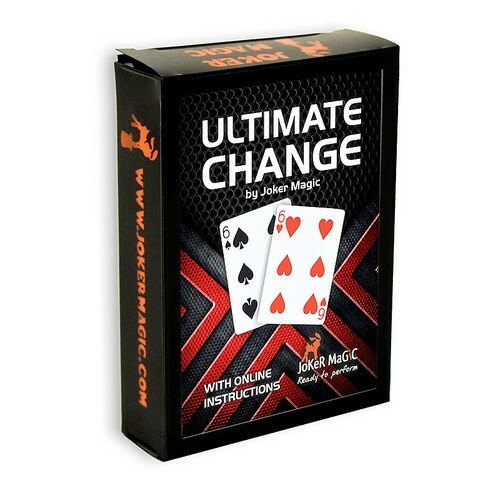 Two fantastic gimmicks, with their help, you will be able to easily and visually transform the cards which you just took out of your wallet or card case into completely different cards. The gimmicks are versatile, you can fit them inside your wallet, a card case, or wherever you want them. Easy to learn, easy to use. The pack includes: - 2 gimmicks. - 2 normal cards with golden backs. • With online video instructions.